Michigan State walk-on basketball player Brock Washington, who was reportedly under investigation for criminal sexual conduct in February, has been charged with misdemeanor assault by prosecutors in Ingham County, MI., according to ESPN. The details of how that charge came about, however, remain extremely murky. Washington was actually charged back on March 8, according the report. ESPN found out about the charges only after paying for a criminal history background check on Washington from the Michigan State Police. The case number on that assault charge in the state police database matched a number from an August 2017 report of fourth degree criminal sexual conduct in MSU Police’s crime log. The report cites sources who say that, in the August incident, a female student told campus police that Washington had groped her without consent. Under Michigan law, an offender aged 17-23 can plead guilty to certain crimes and avoid a conviction on their record. On Wednesday, three former MSU football players had their records sealed under this law after pleading down from initial charges of third-degree criminal sexual conduct. Michigan State has been under Department of Education oversight since 2014 for their mishandling of sexual assault cases, and the school has consistently struggled with transparency in investigations relating to sexual assault, often related to athletics. 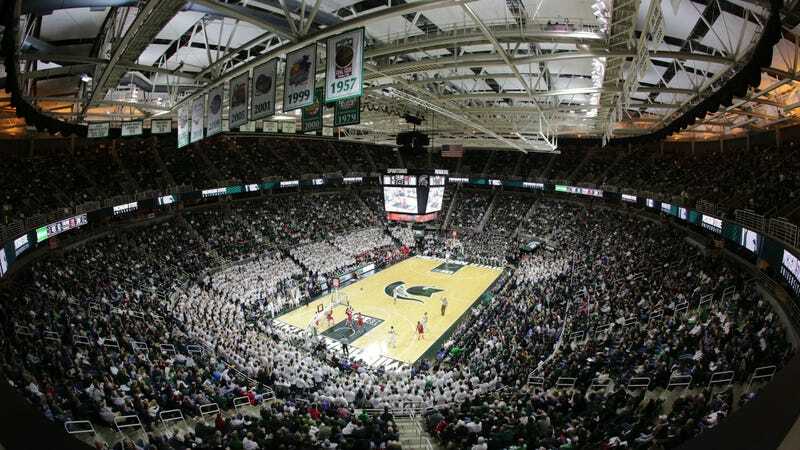 During the coaching tenures of Tom Izzo and Mark Dantonio, there have been several reports of attacks and abuse from both basketball and football players at the school.